Mahabalipuram (Tamil: மகாபலிபுரம்) (also known as Mamallapuram), a town in Kancheepuram district in the Indian state of Tamil Nadu, stands at an average elevation of 12 meters (39 feet). Mahabalipuram had been a seventh century C.E. 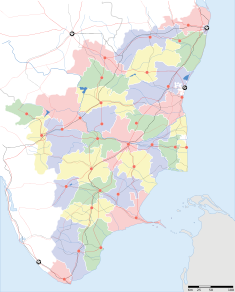 port city of the South Indian dynasty of the Pallavas around 60 km south from the city of Chennai in Tamil Nadu. Historians speculate that the town had been named after the Pallava king Mamalla who had numerous historic monuments built between the seventh and the ninth century. UNESCO designated Group of Monuments at Mahabalipuram a World Heritage Site. 2.1.7 Is the myth true? UNESCO designated the Group of Monuments at Mahabalipuram in 1984, twenty years before the 2004 Indian earthquake and tsunami revealed evidence of six of the legendary Seven Pagodas. The Shore Temple, protruding into the Indian ocean, had been the only one of the seven to remain on dry ground. The Archaeological Survey of India has been leading the exploration to rediscover the lost temples, an effort that has been yielding exciting findings. Little good can be found in the event of the 2004 Indian earthquake and tsunami, which claimed approximately 200,000 lives and destroyed an incalculable amount of property; yet the rediscovery of the Seven Pagodas number among the few good results. 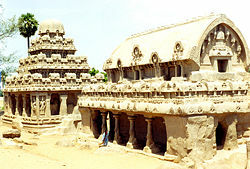 The monuments, mostly rock-cut and monolithic, constitute the early stages of Dravidian architecture wherein Buddhist elements of design display prominently. Cave temples, monolithic rathas (chariots), sculpted reliefs and structural temples constitute the majority of the monuments. The pillars have been sculpted in the Dravidian tradition; the sculptures provide excellent examples of Pallava art. Some historians believe that the area served as a school for young sculptors. The different sculptures, some half finished, may have been examples of different styles of architecture, probably demonstrated by instructors and practiced on by young students. That can be seen in the Pancha Rathas where each Ratha has been sculpted in a different style. The temple Thirukadalmallai had been dedicated to Lord Vishnu. Pallava King built the temple to safeguard the sculptures from corrosion and destruction by the ocean. Records state that, after building the temple, the remaining temple grounds remained preserved from harm by the sea. The Sthalasayana Perumal Temple, located at Mahabalipuram, stands as the first and foremost of Mahabalipuram sculptures, one of the 108 Divya desam. The temple stands on the shore, built in the same period as the sculptures at the site. A small temple, the edifice stands with two major shrines, one for Lord Sthalasayana Perumal and another Nilamangai Thayaar. The site has been noted as the avatrasthalam (birthplace) of Bhoothathazhwar, the 2nd Azhwar. A separate shrine stands for Lord Narasimha, built by Pallava kings, displays pallava style architecture. Legend relates that Sage Pundareeka worshipped Lord Vishnu, offering him with lotus flowers asking for a divine vision of Lord Vishnu. Seeing his devotion, Lord Vishnu came in guise as an old man begging for food. The sage went to get food for the old man. When he returned, he found Lord Vishnu in an Ananthasayana posture wearing the lotus flowers offered by the sage. He then realized that the Lord himself had come in disguise of an old man to bless the devotee. In another important legend, Lord Sri Sthalasayana Perumal Mahatyam had come personally to fulfill his devotees' wishes. In an important devotional act, the Lord receives offerings of Puliyodharai (Tamarind Rice), Dhadhyonam (Curd Rice), Pongal, Chakkarai Pongal, Vada, Adhirasam, Murukku from devotees. Maasi Makham represents an important festival. Thirumangai Alvar, Bhoothathalvar have composed beautiful Paasurams on Lord Sthalasayana Perumal and his consort Nilamangai Thayaar, one of the compositions in Naalayira Divya Prabandha. Descent of the Ganges at Mahabalipuram, in the Tamil Nadu state India, has been designated by UNESCO as a World Heritage Site among the group of Mahabalipuram monuments in 1984. 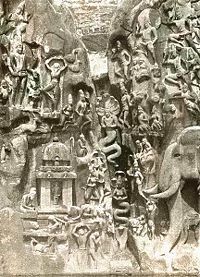 The Pallava kings commissioned the Descent of the Ganges, a giant open-air bas relief carved from a monolithic rock in the seventh and eighth centuries C.E. The legend depicted in the relief portrays the story of the descent of the sacred river Ganga to earth from the heavens led by Bhagirata. Many Hindus believe the waters of Ganges possess supernatural powers. The descent of the Ganges and Arjuna's Penance stand next to each other at the Pallava World Heritage Site. 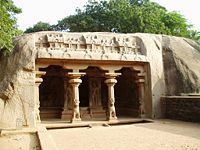 Varaha Cave Temple, an example of Indian rock-cut architecture dating from the late seventh century, refers to a small rock-cut cave temple with a mandapam dating from the seventh century. Inside the side walls have large sculptured panels depicting Vishnu as Varaha, the boar, holding up Bhudevi, the earth goddess, good examples of naturalistic Pallava art. The Pallava doorkeepers constitute four pillars that have lion carved into the bases. Inside, on rear wall, the shrine sits with guardian figures on either side. Located at Mamallapuram, a tiny village south of Chennai in the state of Tamil Nadu, India, the village served as a busy port during the seventh and eighth century reign of the Pallava dynasty. The site, famous for the rock-cut caves and the sculptured rock that line a granite hill, includes one depicting Arjuna's Penance. It has been classified as a UNESCO World Heritage Site. Arjuna's Penance refers to a massive open air bas-relief monolith dating from the seventh century C.E. located in the town of Mahabalipuram in Southern India extolling an episode from the Hindu epic, The Mahabharata. Measuring 96 feet long by 43 feet high, the bas-relief also goes by the name The Descent of Ganga since a dispute continues over which of the stories the mural depicts. 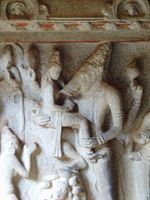 In one interpretation, some consider a figure in the bas-relief standing on one leg Arjuna performing an austerity Tapas to receive a boon from Shiva as an aid in fighting the Mahabharata war. Arjuna received Pasupata, Shiva's most powerful weapon, as the boon. The bas relief situates on a rock with a cleft. Above the cleft stood a collecting pool; at one time, water may have flowed along the cleft. Some believe that figures within the cleft represent Ganga or the River Ganges and Shiva, providing the basis for an alternative interpretation of the mural. They forward that rather than Arjuna, the figure performing austerities represents Bhagiratha. Bhagiratha performed austerities so that Ganga might descend to earth and wash over the ashes of his relatives, releasing them from their sins. To break Ganga's fall from heaven to earth, she falls onto Shiva's hair, which divides into many streams by his tresses. A cat standing on one leg (apparently as an austerity) represents one of the notable, and perhaps ironic, figures in the bas-relief. That may relate to the Panchatantra story of the cat who poses as an ascetic to lure a hare and a bird to come near. When near, he devours them. The Shore Temple is a structural temple built with blocks of granite, dating from the eighth century C.E. Built on a promontory protruding into the Bay of Bengal at Mamallapuram along the Bay of Bengal, the temples has its entrance from the western side away from the sea. Recent excavations have revealed new structures here. The temple had been reconstructed stone by stone from the sea after being washed away in a cyclone. It has been classified as a UNESCO World Heritage Site. The Shore Temple is a five-storied rock cut structural Hindu temple rather than monolithical in the style of other monuments at the site. The earliest important structural temple in Southern India, the pyramidal structure stands 60 ft high and sits on a 50 ft square platform. A small temple, the original porch, sits in front made out of finely cut local granite. Durga on lion with small carved shrine. The temple has a garbhagriha, which enshrines the deity, Sivalinga, and a small mandapa surrounded by a heavy outer wall with space between for circumambulation. At the rear two shrines stand facing opposite directions. The inner shrine, dedicated to Ksatriyasimnesvara, may be reached through a passage while the other, dedicated to Vishnu, faces the outside. The outer wall of the shrine to Vishnu and the inner side of the boundary wall have extensive sculpting and topped by large sculptures of Nandi. Plaster divides the temple's outer walls into bays, the lower part being carved into a series of rearing lions. Recent excavations have revealed new structures here under the sand. The Durga seats on her lion vahana. A small shrine may have been in the cavity in the lion's chest. Pancha Rathas (Five Chariots) are five monolithic pyramidal structures named after the Pandavas (Arjuna, Bhima, Yudhishtra, Nakula and Sahadeva) and Draupadi. Interestingly the rathas, despite their sizes, remain unassembled—each had been carved from one single large piece of stone. 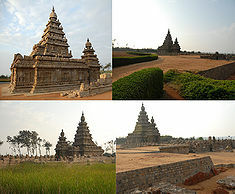 According to descriptions by early travel writers from Britain, the area near Mahabalipuram had seven pagodas by the sea. British traveler John Goldingham, who provided the first written accounts of Mahabalipuram, told of the "Seven Pagodas" when he visited in 1798. An ancient port city and parts of a temple built in the seventh century may have been uncovered by the tsunami that resulted from the 2004 Indian Ocean earthquake. As the waves gradually receded, the force of the water removed sand deposits that had covered various rocky structures and revealed carvings of animals, which included an elaborately carved head of an elephant and a horse in flight. A small square-shaped niche with a carved statue of a deity could be seen above the head of the elephant. In another structure, a sculpture of a reclining lion appeared, consistent with the use of animal sculptures as decorations on walls and temples from the Pallava period in the seventh and eighth centuries. The Archaeological Survey of India sent divers to begin underwater excavations of the area on February 17, 2005. Nakula and Sahadeva's Rathas, part of the Seven Pagodas complex, circa 1914. Courtesy J.W. Coombes. The name “Seven Pagodas” has served as a nickname for the south Indian city of Mahabalipuram, also called Mamallapuram, since the first European explorers reached the city. The phrase “Seven Pagodas” refers to a myth that has circulated in India, Europe, and other parts of the world for over eleven centuries. Mahabalipuram’s Shore Temple, built in the eighth century C.E., stands at the shore of the Bay of Bengal. Legend has it that six other temples once stood with it. The temples’ origins have been obscured by time, lack of complete written records, and storytelling. Englishman D. R. Fyson, a long-time resident of Madras (now Chennai), wrote a concise book on the city of Mahabalipuram titled Mahabalipuram or Seven Pagodas, which he intended as a souvenir volume for Western visitors to the city. In it, he states that the Pallava King Narasimharavarman I either began or greatly enlarged upon Mahabalipuram, circa 630 C.E. (Fyson 1). Archaeological evidence has yet to clearly prove whether Narasimharavarman I’s city had been the earliest to inhabit the location. About thirty years prior to the founding of Narasimharavarman I’s city, Pallava King Mahendravarman I had begun a series of “cave temples” carved into rocky hillsides (Fyson 2). Contrary to what the name suggests, they often began as man-made caves. Mahendravarman I and Narasimharavarman I also ordered construction of free-standing temples, called rathas in the region’s language, Tamil. Nine rathas currently stand at the site (Ramaswami, 209). Construction of both types of temples in Mahabalipuram appears to have ended around 640 C.E. (Fyson 3). Fyson states that archaeological evidence supports the claim that a monastery, or vihara in Tamil, existed in ancient Mahabalipuram. The idea of the monastery would have been adopted from practices of the regions past Buddhist inhabitants. Fyson suggests that the monks’ quarters may have been divided between a number of the city’s rathas, based on their division into small rooms. Buddhist influence appears in the traditional pagoda shape of the Shore Temple and other remaining architecture (Fyson 5). Fyson devoted only the next to the last page of his slim book to the actual myth of the Seven Pagodas (Fyson 28). He recounts a local myth regarding the pagodas, that the god Indra became jealous of that earthly city, and sank it during a great storm, leaving only the Shore Temple above water. He also recounts the assertion of local Tamil people that at least some of the other temples can be seen “glittering beneath the waves” from fishing boats (Fyson 28). Whether the six missing pagodas exist seems unimportant to Fyson; the Seven Pagodas gave his beloved city its nickname and fame, and that seems the important part for him. The six missing temples have continued to fascinate locals, archaeologists, and lovers of myth alike, and have recently returned to the archaeological spotlight. N. S. Ramaswami names Marco Polo as one of the earliest European visitors to Mahabalipuram. Polo left few details of his visit, marking it on his Catalan Map of 1275 (Ramaswami, 210). Many Europeans later spoke of the Seven Pagodas following travelers to their colonies in India. As mentioned above, John Goldingham, an English astronomer living in Madras in the late eighteenth and early nineteenth centuries, wrote about them first. He wrote an account of his visit and the legend in 1798, later collected by Mark William Carr in his 1869 book Descriptive and Historical Papers Relating to the Seven Pagodas on the Coromandel Coast. Goldingham mainly described art, statues, and inscriptions found throughout the archaeological site at Mahabalipuram. He copied many of the inscriptions by hand, and included them in his essay. Goldingham interprets most of the signs as picture-symbols, and discusses what meaning their shapes may have (Goldingham, 30-43). Interestingly, Benjamin Guy Babington, author of another essay in the same volume, identified several of the figures in Goldingham’s copied inscriptions as Telugu letters (Goldingham, 43). A footnote to Goldingham’s work includes Babington’s note on the text. In 1914, British writer J.W. Coombes related the common European belief on the origin of the pagoda legend. According to him, the pagodas once stood on the edge of the shore, and their copper domes reflected sunlight and served as a nautical landmark. He claims that modern people lack knowledge of how many pagodas once existed. He believes that the number close to seven (Coombes, 27). Indian historian N. S. Ramaswami places much of the responsibility for the myth’s European propagation on the poet Robert Southey, who mentioned it in his poem “The Curse of Kehama,” published in 1810 (Ramaswami, 205). He refers to the city by another of its popular names, Bali. In his poem, Southey clearly states that more than one of the Seven Pagodas could be seen. (See stanza 4). Southey told romantic tales of many cultures around the world, including India, Rome, Portugal, Paraguay, and Native American tribes, all of which had been based on accounts of others’ travels, and his own imagination. “The Curse of Kehama” certainly played a role in rising Orientalism. Ramaswami’s had mixed comments on European explorers' reports. He notes that, before Europeans began to visit South India toward the beginning of the Raj, many of the smaller monuments at Mahabalipuram had been partially or entirely covered with sand. The colonizers and their families played an important role in uncovering the archaeological site in their free time. Once early English archaeologists realized the extent and beauty of the site, toward the end of the eighteenth century, they appointed experienced antiquarians such as Colin Mackenzie to preside over the dig (Ramaswami, 210). 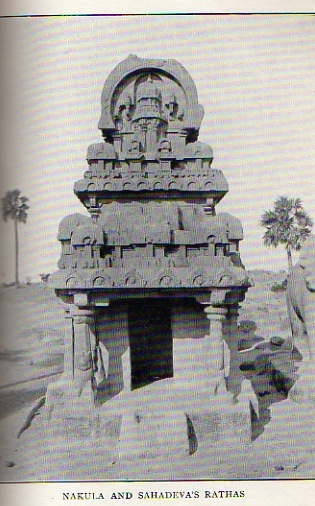 Shore Temple, circa 1914. Courtesy J.W. Coombes. Before the tsunami that occurred on December 26, 2004, evidence for the existence of the Seven Pagodas had been largely anecdotal. The existence of the Shore Temple, smaller temples, and rathas supported the idea that the area had strong religious significance, but little contemporary evidence, save one Pallava-era painting of the temple complex, existed. Ramaswami wrote in his 1993 book Temples of South India that evidence of 2000 years of civilization, 40 currently visible monuments, including two “open air bas-reliefs,” and related legends spreading through both South Asia and Europe had caused people to build up Mahabalipuram’s mystery in their minds (Ramaswami, 204). He writes explicitly that: “There is no sunk city in the waves off Mamallapuram. The European name, ‘The Seven Pagodas,’ is irrational and cannot be accounted for” (Ramaswami, 206). Anecdotal evidence can be truthful though, and in 2002 scientists decided to explore the area off the shore of Mahabalipuram, where many modern Tamil fishermen claimed to have glimpsed ruins at the bottom of the sea. That project had been a joint effort between the National Institute of Oceanography (India) and the Scientific Exploration Society, U.K (Vora). The two teams found the remains of walls beneath five to eight meters of water and sediment, 500 to 700 meters off the coast. The layout suggested that they belonged to several temples. Archaeologists dated them to the Pallava era, roughly when Mahendravarman I and Narasimharavarman I ruled the region (Vora). NIO scientist K.H. Vora noted after the 2002 exploration that the underwater site probably contained additional structures and artifacts, and merited future exploration (Vora). Immediately before the 2004 tsunami struck the Indian Ocean, including the Bay of Bengal, the ocean water off Mahabalipuram’s coast pulled back approximately 500 meters. Tourists and residents who witnessed that event from the beach later recalled seeing a long, straight row of large rocks emerge from the water (Subramanian). As the tsunami rushed to shore, water covered those stones again. Centuries’ worth of sediment that had covered them dispersed. The tsunami also made some immediate, lasting changes to the coastline, which left a few previously covered statues and small structures uncovered on the shore (Maguire). Eyewitness accounts of tsunami relics stirred both popular and scientific interest in the site. 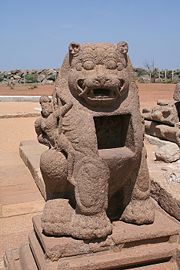 A large stone lion, which the changing shoreline left sitting uncovered on Mahabalipuram’s beach, may be the most famous archaeological finding after the tsunami. Archaeologists have dated it to the seventh century C.E. (“India finds more…”). Locals and tourists have flocked to see that statue since shortly after the tsunami. In April 2005, the Archaeological Survey of India (ASI) and the Indian Navy began searching the waters off the coast of Mahabalipuram by boat, using sonar technology (Das). They discovered that the row of large stones people had seen immediately before the tsunami formed part of a six-foot-high (Biswas), 70-meter-long wall (Subramanian). ASI and the Navy also discovered remains of two other submerged temples and one cave temple within 500 meters of the shore (Das). Although those findings lack direct evidence for the seven pagodas of myth, they indicate that a large complex of temples had been located in Mahabalipuram. That draws the myth closer to reality—the likelihood that more discoveries await discovery has excited archaeologists. ASI archaeologist Alok Tripathi told The Times of India that, as of his February 2005 interview, sonar exploration had mapped inner and outer walls of the two previously submerged temples. He explained that his team had too little evidence to theorize the functions of those buildings (Das). A.K. 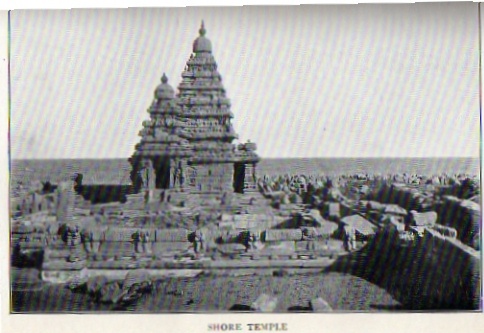 Sharma of the Indian Navy refrained from speculation as to function as well, telling The Times of India that the layout of the submerged structures, in relation with the Shore Temple and other exposed structures, closely matched a Pallava-era painting of the Seven Pagodas complex (Das). Archaeologist T. Satyamurthy of ASI also mentioned the immense significance of a gigantic inscribed stone the waves uncovered. The inscription stated that King Krishna III had paid for the keeping of an eternal flame at a particular temple. Archaeologists began digging in the vicinity of the stone, and quickly found the structure of another Pallava temple. They also found many coins and items that would have been used in ancient Hindu religious ceremonies (Maguire). While excavating that Pallava-era temple, archaeologists also uncovered the foundations of a Tamil Sangam-period temple, dating back approximately 2000 years (Maguire). Most archaeologists working on the site believe that a tsunami struck sometime between the Tamil Sangam and Pallava periods, destroying the older temple. Wide-spread layers of seashells and other ocean debris support that theory (Maguire). ASI unexpectedly located a much older structure on the site. A small brick structure, formerly covered by sand, stood on the beach following the tsunami. Archaeologists examined the structure, and dated it to the Tamil Sangam period (Maguire). Although that structure lay outside the perimeters of the traditional legend, it adds intrigue and the possibility of yet-unexplored history to the site. Currently archaeologists hold the opinion that yet another tsunami destroyed the Pallava temples in the thirteenth century. ASI scientist G. Thirumoorthy told the BBC that physical evidence of a thirteenth-century tsunami can be found along nearly the entire length of India’s East Coast (Maguire). Twenty-first century probes of the coast off Mahabalipuram have yet to conclusively prove the truth of the Seven Pagodas myth. They have brought archaeologists and historians closer to believing in the myth has a basis in evidence. As exploration continues, we will come closer to knowing the reality behind the pagodas. ↑ Group of Monuments at Mahabalipuram. Retrieved March 3, 2007. ↑ The Descent of the Ganges - Story of Bhagirata. Retrieved March 3, 2007. ↑ 3.0 3.1 General view of the entrance to the Varaha Cave Temple, Mamallapuram. British Library. Retrieved February 8, 2007..
↑ 4.0 4.1 Group of Monuments at Mahabalipuram. World Heritage. Retrieved February 8, 2007. ↑ 5.0 5.1 Shore Temple. Retrieved February 8, 2007..
↑ 6.0 6.1 6.2 Shore Temple (Ancient India). Retrieved February 8, 2007..
↑ Binda Thapar, Introduction to Indian Architecture (Singapore: Periplus Editions, 2004, ISBN 0794600115), 51. ↑ George Michael, The Hindu Temple Chicago (Illinois: University of Chicago, 1988, ISBN 0226532305), 134-135. ↑ The Shore Temple stands its ground. The Hindu. Retrieved February 8, 2007. Application of Geological and Geophysical Methods in Marine Archaeology and Underwater Explorations. Scientific Achievements: 5. Tamil Nadu K H. Vora. National Institute of Oceanography, Goa, India. Retrieved September 16, 2006. BBC News (Online). "India Finds More 'Tsunami Gifts'." 27 Feb. 2005: 1-5. Retrieved September 16, 2006. Biswas, Soutik. "Tsunami Throws up India Relics" BBC News (Online) 11 Feb. 2005. Retrieved September 16, 2006. Das, Swati. "Tsunami Unveils 'Seven Pagodas'." The Times of India 25 Feb. 2005. Retrieved September 12, 2006. Maguire, Paddy. "Tsunami Reveals Ancient Temple Sites." BBC News (Online) 27 Oct. 2005. Retrieved September 9, 2006. Subramanian, T. S. "The Secret of the Seven Pagodas." Frontline 22.10 (May 2005). The Hindu Online. Retrieved September 16, 2006. This page was last modified on 7 August 2018, at 18:40.